Featuring Daryl Hall, John Oates, Charlie DeChant, Eliot Lewis, Klyde Jones, Brian Dunne, Shane Theriot and Porter Carroll. Directed by Daryl Hall & John Oates. Distributed by Fathom Events/Eagle Rock Entertainment. 111 minutes. Not Rated. Forty-some years into their partnership, Daryl Hall and John Oates still have the soul and the chops that made them arguably the biggest duo of the late '70s and most of the 80s. And even though the guys do not record new material together anymore, that doesn't mean that they are no longer musically relevant. This concert performance, filmed in the gorgeous old Olympia Theater in Dublin, Ireland, is proof positive that the guys still have the music in them. 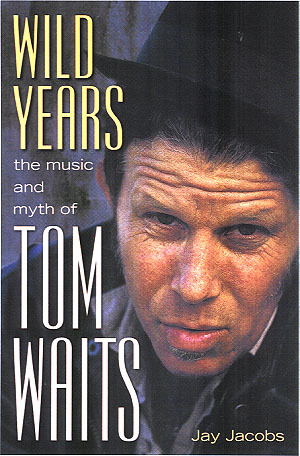 They throw a wonderfully varied and hit-stuffed musical party, full of supple singing and a swinging and smoking backing band; one that both Hall and Oates referred to in a recent interview we did with them as the best band they ever had, including in their glory days. The concert has been released as a special one night only event in theaters on February 19th before getting a wide video release on March 31st. The show was the first one the guys had ever done together in Ireland, as hard as that is to believe � and the Irish fans were in the group's thrall from the distinctive stutter step of the bass and drum intro of "Maneater." That was followed by a few 80s smashes, and surprisingly such slightly-dated sounding synth-based source tunes as "Out of Touch" and "Family Man" took on a new toughness and verve with intriguing new arrangements which played to the tunes' strong-suits without pandering to nostalgic instrumentation. Towards the middle of the show, the band slowed things down for a heart-stopping pair up of the band's first two huge hits, "Sara Smile" and "She's Gone." Both songs slayed the audiences, retaining every bit of their hard-won emotional truth of the songs and feeling completely fresh despite the fact that they are both still radio staples 40 years after their original chart runs. Still, with all of their hits, they were happy to slip into some of the lesser remembered corners of their career. The disco-vibed "Back Together Again," with Oates taking one of his rare lead vocals, was a master-class in funky syncopated singing. They followed that up with the impossibly funky forgotten album track "Las Vegas Turnaround," also with Oates doing the vocal heavy lifting, causing you to wonder why he does not get more leads. "It's Uncanny" was another nice piece of mining for treasures in early albums. 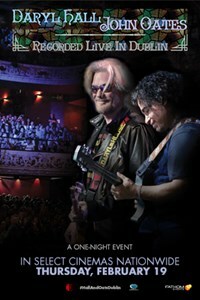 Any band with as extensive a back catalogue as Daryl Hall & John Oates will not be able to hit on all the highlights of their career in a single show, but Live in Dublin cuts a smart swath across the band's history, hitting on many of the big hits and also throwing in a few interesting album tracks and rarities. Pretty much all of these songs deserve to be there � and if some got overlooked, like "One on One," "Did It in a Minute," "Wait For Me," "Everytime You Go Away" and my personal forgotten favorite "It's a Laugh," that is more of a statement on the huge run of hits that H&O put together in their career than any real statement on the songs that didn't make the set list cut. I would have personally been shocked � happily shocked but still shocked � had "It's a Laugh" made the cut, so I can't complain too much. Then, the band closed out the gig with a generous two encores, in which they pulled out some of their most recognizable hits. Starting with "Rich Girl," their funky first #1 hit, they then jumped and jived their way through the beloved Voices smashes "You Make My Dreams" and "Kiss On My List" before closing down the proceedings with a passionate take of "Private Eyes." If you can't make it out to a Hall & Oates concert, Live in Dublin is the next best thing. If you take into consideration the crowds, the costs and the parking, it may even be preferable. Copyright �2015 PopEntertainment.com. All rights reserved. Posted: February 20, 2015.